REAL Tonga has confirmed Monday 18 December 2017, as the launch date of the much anticipated flight operations between Tonga and Samoa. 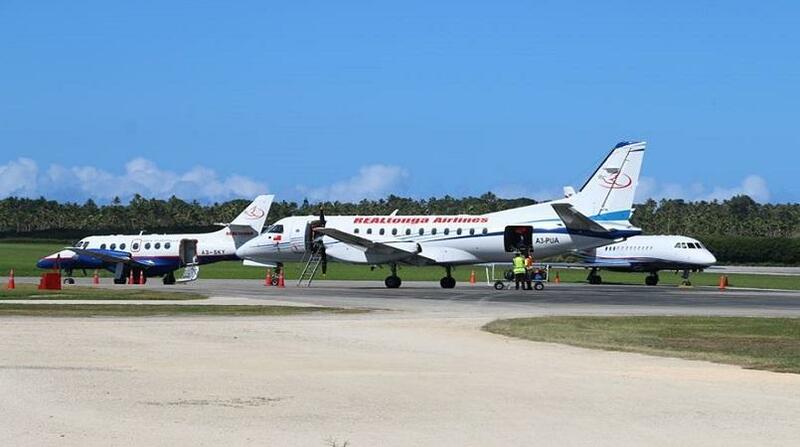 The Airline is currently completing final license requirements in Samoa and will commence operations with two (2) flights per week. REAL Tonga will be utilising the SAAB 340 for our regional flights, which will be offering up to thirty (30) passenger seats and a full meal service. It has been over a decade since there was any significant commercial capacity between the two Polynesian nations. The Owner & Chief Executive of REAL Tonga, Mr. Tevita Palu said, he is delighted to announce this exciting development for REAL Tonga, he also said, that from the moment he thought of starting an airline, he had always envisaged more than just offering a domestic service for the people of Tonga and he always expected that REAL Tonga air services would expand internationally and offer our people more choice, more flexibility and better fares than are currently available. He went on to say, that the airline is in its 5th year of operation and whilst it has been a long process developing the airline’s standards to fit the international arena, he had made it clear to his management team, that he wanted services to Samoa to be available to our people and to the people of Samoa to be able to travel to their respective homes in order to celebrate Christmas. Mr. Palu said whilst Samoa is the first of our international routes, his management team are already working on plans to extend our regional routes to offer safe, convenient, comfortable and cheaper options to the people of Tonga to other neighbouring countries. The two flights weekly are being scheduled, to provide convenient flight times as well as good connections to Pagopago and to the U.S.A. This operation looks to open up more travel, trade and business opportunities between the two neighbouring countries and the international leg between Vava’u and Samoa will offer further growth opportunities for the tourism market. The Samoa route offers the people of Tonga huge reductions in travelling time as well as air fares.